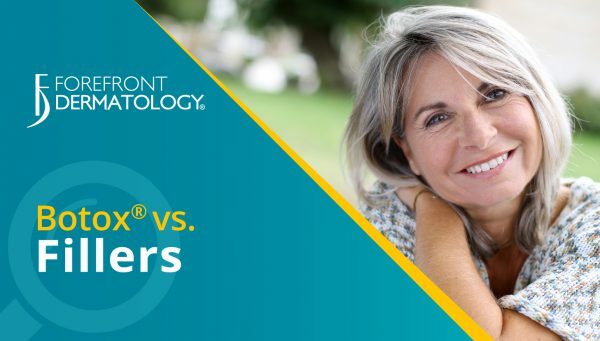 With multiple options available for reducing fine lines and wrinkles, it can be difficult to determine which treatment option is best for you. Botox and dermal fillers are often confused because of their usage as anti-aging treatments. However, they are actually quite different. Knowing these differences can help you achieve the best possible results. When addressing safety concerns Dr. Chambers recommends thorough research and careful consideration of doctors and practitioners you may be considering. “The number one safety tip for both Botox and dermal fillers is to seek treatment from a highly-experienced, certified skin care professional. 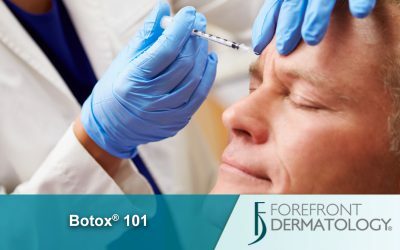 To ensure each treatment’s efficacy, cosmetic end result, and safety, these procedures are best performed by a trained physician or expert medical provider.” While Botox and dermal fillers are both safe for clinical use, fillers can have side effects such as temporary bruising or swelling. Ultimately, both Botox and fillers are excellent treatment options if performed by a professional. Interested in Botox or Fillers? Botox and fillers are offered at many, but not all, Forefront Dermatology locations. To find a location near you that offers these treatment options, please search by location.